LYNDHURST, N.J.--(BUSINESS WIRE)--As open enrollment approaches, many people changing or choosing their health benefits will need to select a new primary care provider (PCP). A PCP is the doctor you go to for well-care and common medical problems. They’re also the gateway to specialists you may need for more complicated medical concerns. That makes choosing a primary care doctor an important task. You want a doctor who listens to your concerns. Who you can easily access. And who will, of course, make the right diagnosis. What’s disturbing, is that 23 percent of primary care physicians and OBGyns and 22 percent of pediatricians have a cumulative one-star rating from their patients. That’s the lowest a doctor can be rated on Vitals, the doctor search site. In fact, over one-third of the doctors we rely on the most for our basic care have poor ratings (1 or 2 stars) from patients. 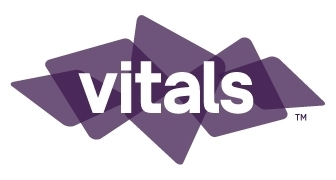 With over 9 million ratings and reviews, Vitals has more doctor ratings than any other site online. The Vitals Index looked at the cumulative ratings for internists, general practitioners, family medicine specialists, pediatricians and OBGyns across the largest 50 cities in the U.S.
Nationwide, 40 percent of PCPs have a cumulative 5-star rating. Only 35 percent of OBGyns receive consistent 5-star ratings from their patients. Pediatricians are the highest rated amongst the primary care specialists, with 47 percent having 5-star averages. There’s good reason for consumers to be aware of a doctor’s ratings and reviews as they choose a primary care specialist. Research shows positive patient experiences translate into better clinical outcomes. That’s because patients are more likely to follow prescribed regimes of a doctor they connect with and trust. Overall, Vitals found that the percentage of 1-star and 5-star doctors was relatively consistent from one metro area to the next, with only a few outliers. On the higher end, 50 percent of PCPs in Boston have 5-star ratings. San Francisco (49 percent) and Minneapolis (48 percent) also had high concentrations of PCPs with 5-star averages. However, one in four PCPs in Los Angeles, Oakland, Wichita, KS, Lexington, KY, Las Vegas, Portland, OR and Memphis, TN had 1-star averages. San Francisco had the highest number of 5-star rated pediatricians – 62 percent. Denver (58 percent) and Oakland (57 percent) also had plenty of 5-star kid-docs practicing in their city. Omaha, NE, Las Vegas, Columbus, OH and Denver each had 25 percent of pediatricians rated 1-star. San Francisco ranked at the top for the most 5-star OBGyns, as well, with 50 percent earning high-praise. Anchorage, AK was at the bottom with 27 percent of their OBGyns rated with 1-star. Follow us on Facebook, Google+ Twitter or LinkedIn.